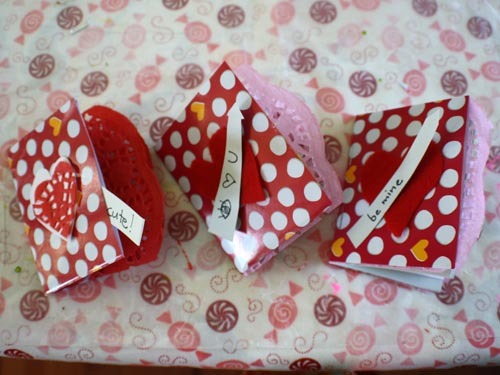 This is a nifty little last minute Valentine's Day project that makes for a unique keepsake. 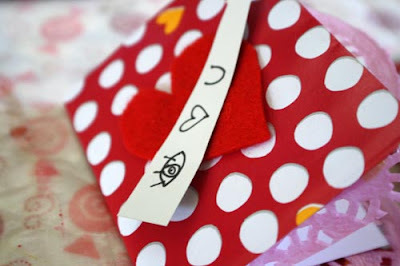 Instead of making (or buying) many valentines, why not make a little book to collect Valentine's Day signatures and doodles? It's a lot easier to add this to the keepsake box and can be made from all sorts of goodies you may already have on hand. It also has the added benefit of containing two little "pockets" built right in. Gather all your goodies and get ready to create. 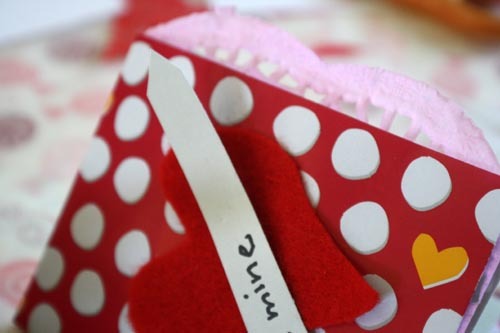 Have your kiddo carefully cut straight across the bottom of your paper sack removing the bottom seam. Fold sack in half with the seams facing in. 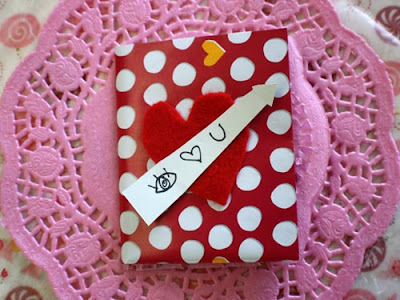 Fold paper doily in half and insert inside your soon-to-be booklet. Gather small pieces of scrap paper equal to or slightly smaller than the sack and have your kiddo fold each sheet in half as well. Sandwich all pieces inside the doily. If needed, use scissors to trim excess doily from the top and bottom of your sack. Carefully flip over the whole kit and caboodle and add two staples to the crease so that the folds are inside your booklet. Flip back over and refold in half. Decorate and Ta-da! A nifty little Valentine's Day autograph book!